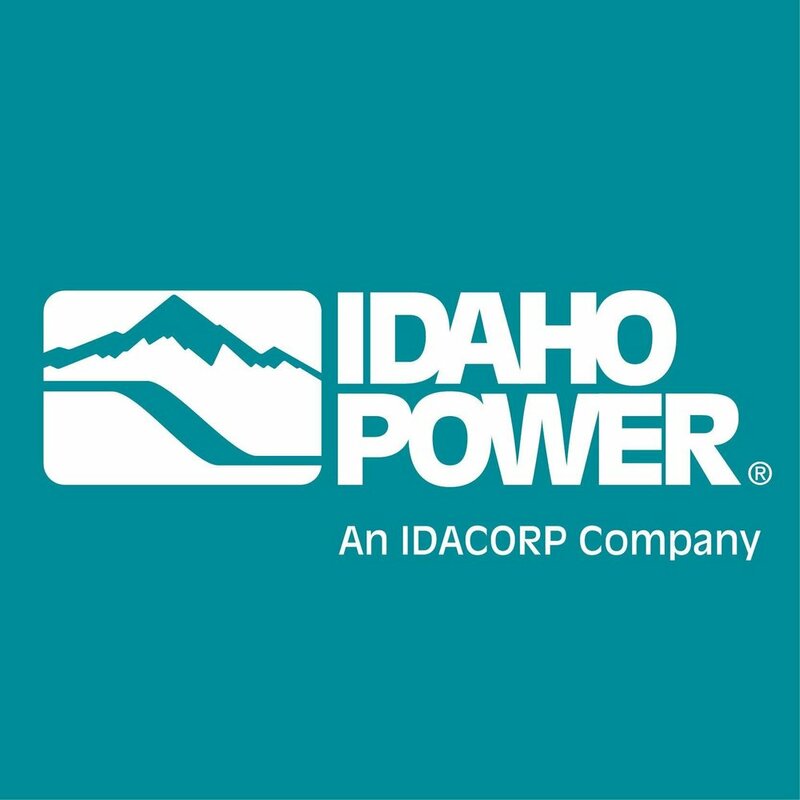 A special thanks to Idaho Power for their generous donation of $3,500 to allow us to purchase and install a Daikin ductless heat pump for Project Tiny House. We would like to also thank The Home Depot for donating the LG washer/dryer combo and full-size fridge/freezer. The design of the 200-square-foot tiny house was created by Brian Crabb, designer for FYI Network’s nationally syndicated reality TV show “Tiny House Nation". All proceeds of the raffle go to Metro Community Services. *Raffle tickets are NOT tax deductible. Must be 18 years of age or older to enter. 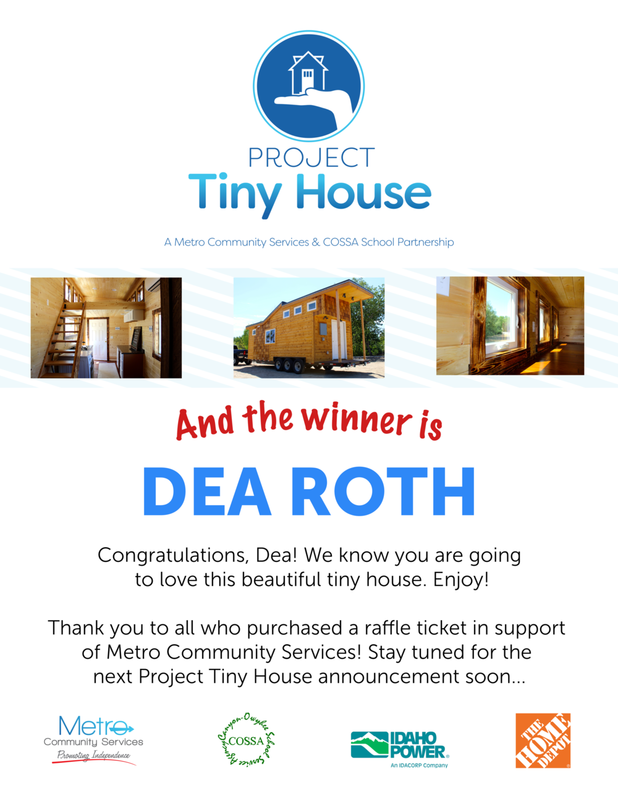 Metro Community Services is not responsible for the taxes, registration, and insurance fees associated with the sold tiny house. 12-12-16: "Idaho High School Students Build A Tiny House"
7-17-17: "Tiny House Project Helps Idaho Students And Seniors"
11-3-16: "Canyon County nonprofit, school partner to build a tiny house"
7-13-17: "Students build and auction tiny house"
10-17-16: "Tiny House project: students learn big construction skills"
12-9-16: "COSSA Academy builds tiny home for upcoming auction"
7-11-17: "Tiny house goes on local tour to sell 1,000 raffle tickets"
11-17-16: "Love tiny houses? 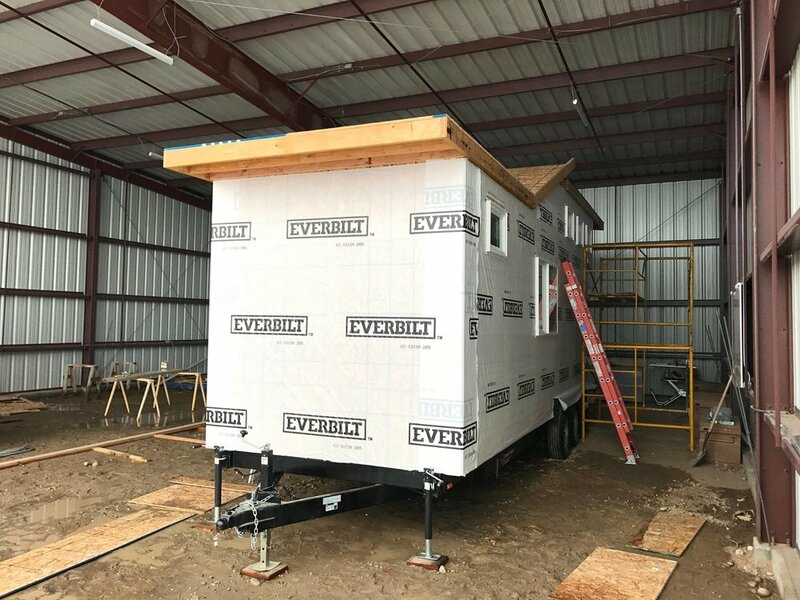 Canyon County students are building one for you to bid on"
4-3-17: "Valley partnership will provide tiny houses for charity — and train students to build them"
4-27-17: "Culinary Walkabout features a tiny house in raffle"
3-2-17: "COSSA students in Wilder build tiny home for community raffle"
7-2-17: "Project Tiny House tours in Caldwell on 4th"
7-13-17: "Student-built tiny house to be raffled off for charity"